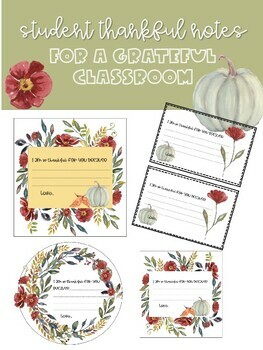 Grab these thankful notes to show your students how grateful you are to have them! Choose from 5 versions with beautiful fall watercolor clip art! This is one of my favorite November/ day before Thanksgiving break traditions! I write a note to each student and tape them to either their lockers or their desks as a surprise and a great way to kick off the break! 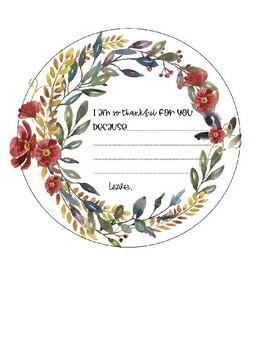 Another idea: print a few extra for your writing station or as a grateful activity your students can be apart of! 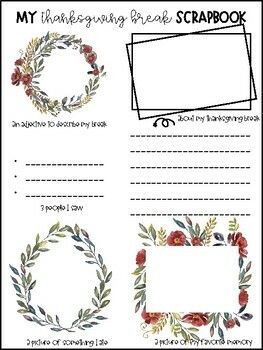 They can use these templates to write notes to other classmates or anyone in their lives they are grateful for! If Instagram is bringing you here, the fonts I used in the student name and teacher name portion of the notes are AGAlreadyTired and AGHowDoYouSurvive Just add a text box and you can type students names and your name! Or print as is and write them in!